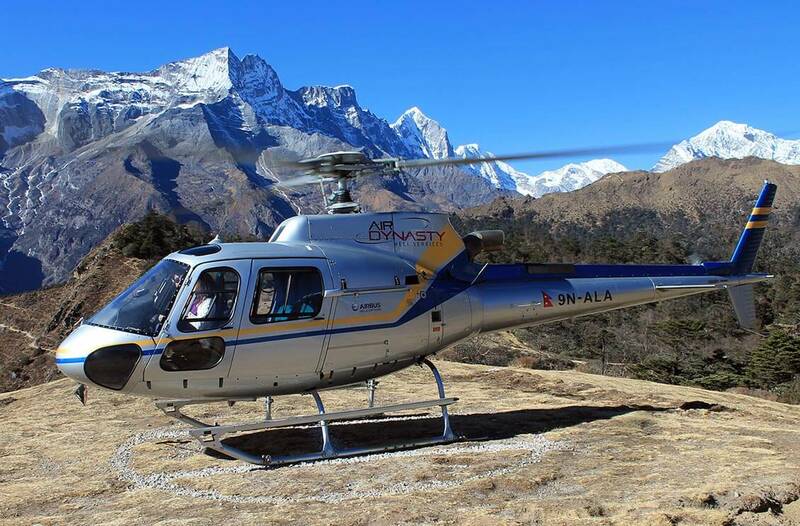 Air Dynasty Heli Service is one of the leading helicopter companies in Nepal providing helicopter charter services. The helicopter company was established in 1993. Today, Air dynasty’s fleet includes 4 Ecureuil As350 Series Helicopters. Air dynasty is the oldest among a few operators of light helicopters and the operators of Ecureuil helicopters in private aviation in Nepal. These helicopters are certified to fly up to 23000 ft. AMSL. Each aircraft can normally accommodate 5 adult passengers subjective of altitude and temperature at landing site. Expert key professionals managing and operating at air dynasty have extensive experience of managing aviation operation in national and international civil aviation. Air Dynasty's main office is located in Sinamangal, Kathmandu. The company is occupying more than 35% of total helicopter business in Nepal.